On Saturday, November 25 the 1st grade JHS Global students enjoyed a presentation and activity on Canada. 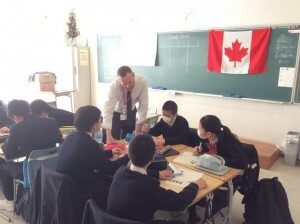 The students had many opportunities to speak English and provide some input about what they knew about Canada. The presentation included a little history, geography, culture, cuisine, animals, places and sports. The students were very active and participated a lot when asked a question. They asked many questions too and were interested to learn about the differences and similarities between Canada and Japan. 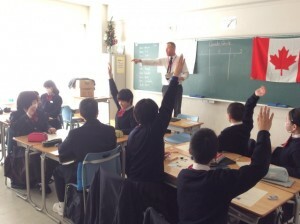 After the presentation, there was a written quiz that the students could do together in groups, they did a great job. When we checked the quiz together they had ‘perfect’ answers and spoke beautifully when they gave their answers. Lastly, we did a pronunciation activity with ‘things Canadian`. They could do it no problem and practiced a few new sounds. 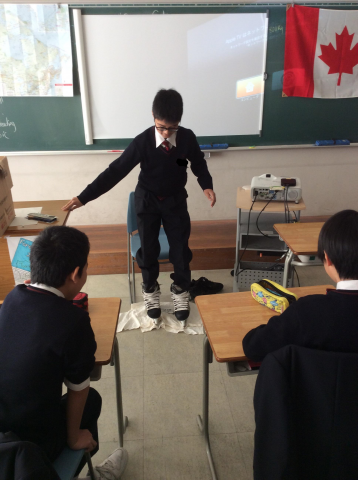 We shared many laughs during the class and I felt very positive and impressed with the 1D JHS Global students. I look forward to more activities with them in the future. They`re good kids. Copyright © Hamamatsu Kaiseikan All Rights Reserved.